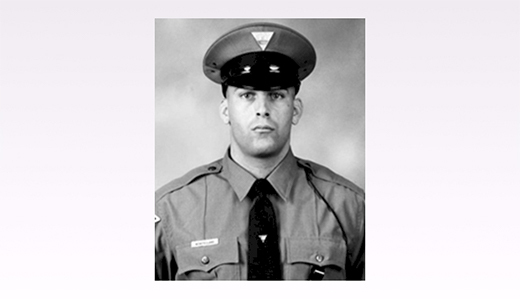 Legislation by Sen. Robert Singer, Assemblymen Sean Kean and Edward Thomson to rename a portion of Interstate Highway Route 195 as State Trooper Marc K. Castellano Memorial Highway has been unanimously approved by key legislative panels in both houses today. The measure now awaits a final vote before the full State Senate and General Assembly. The legislation, A3749/S470, would rename a section of the highway in Howell Township after Trooper Marc Castellano, a resident of Howell, who was tragically killed in a motor vehicle accident while investigating an incident on the roadway. “Naming a portion of 195 in Howell after Trooper Castellano is a tribute to his service and sacrifice. This designation honors the memory of a beloved police officer, husband, father, son and brother,” said Singer. “Renaming this section of highway after Trooper Castellano is a fitting way to honor this fine young man who made the ultimate sacrifice in order to keep us safe,” said Thomson.